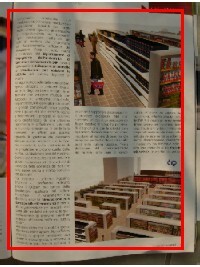 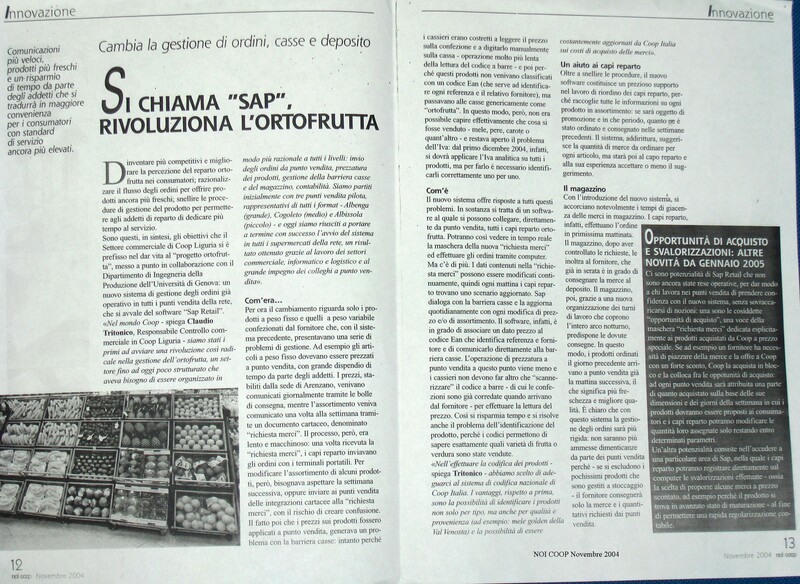 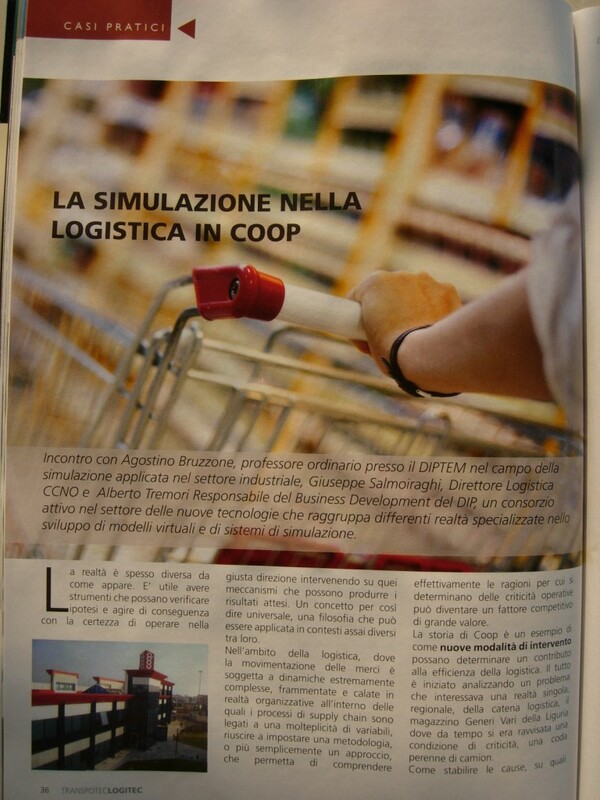 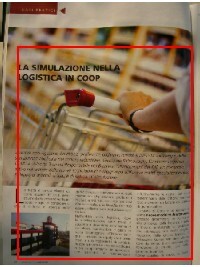 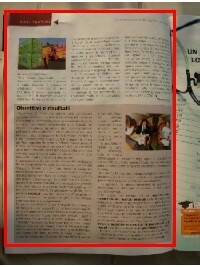 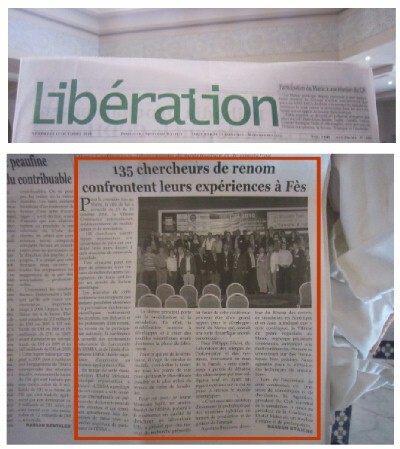 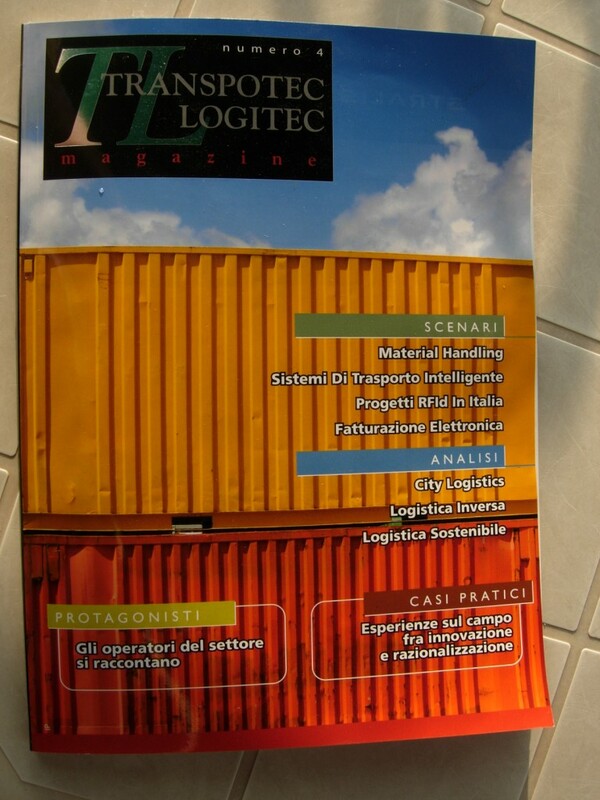 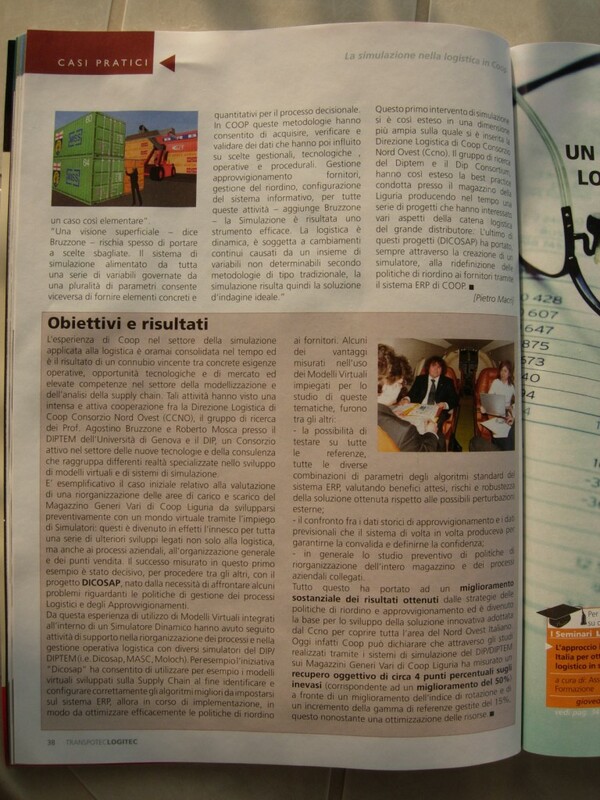 Euromerci n.7/8 July/August 2007 - Supply & Value Chain What Frontier? 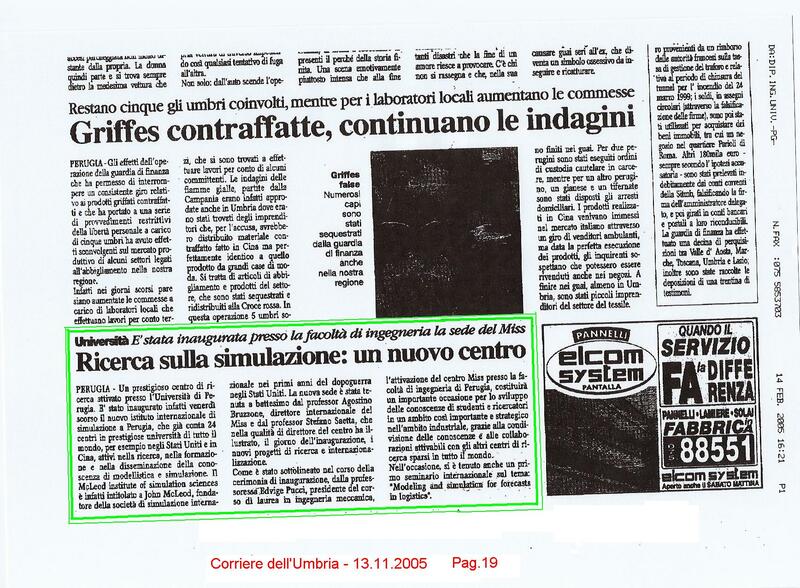 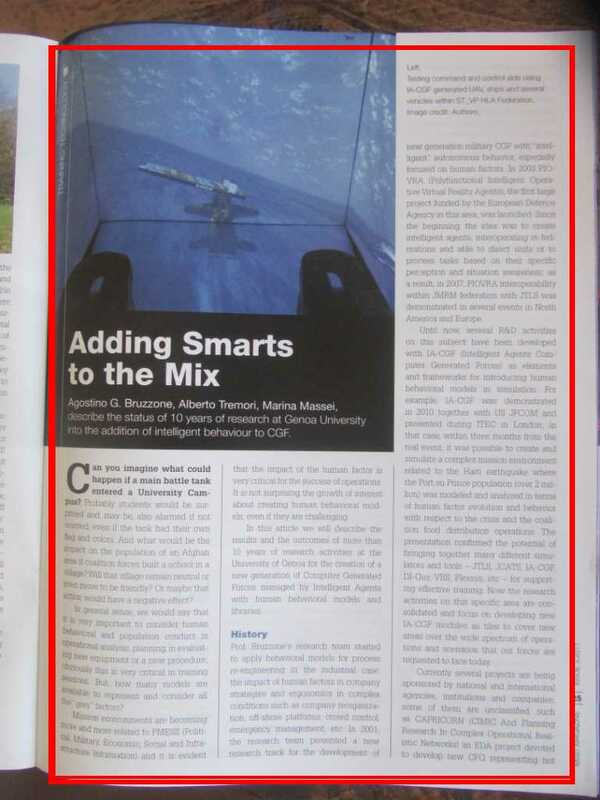 September 9th, 2007, CISCO Magazine - Flexibility in Company Decision Making? 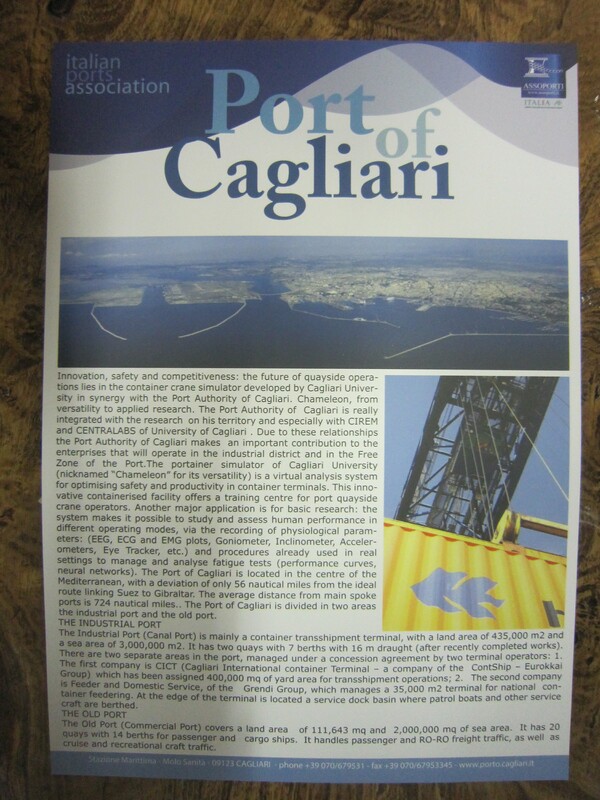 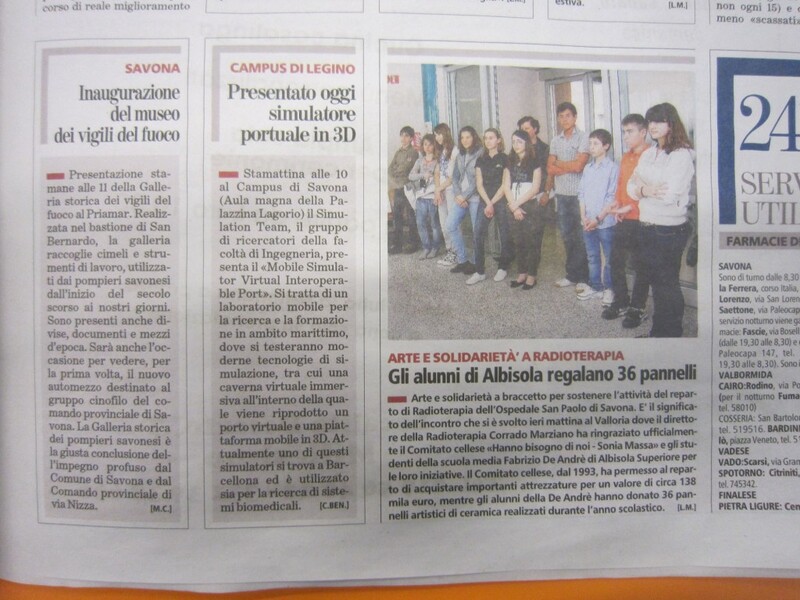 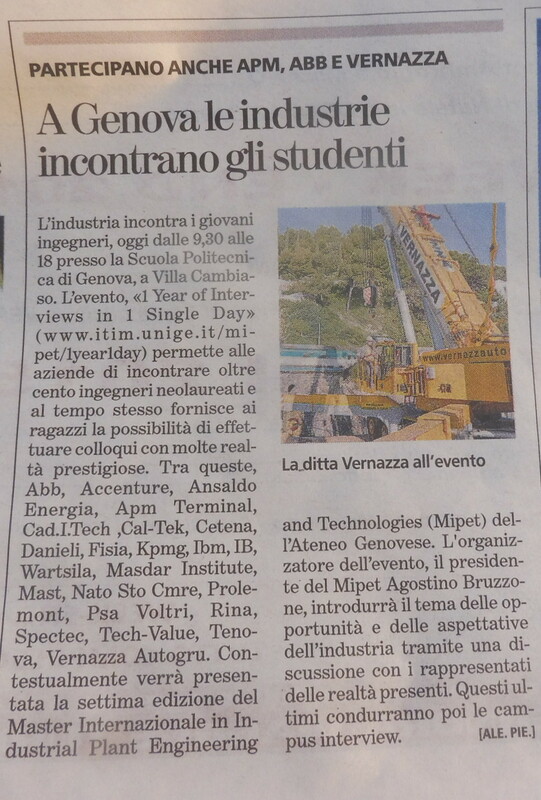 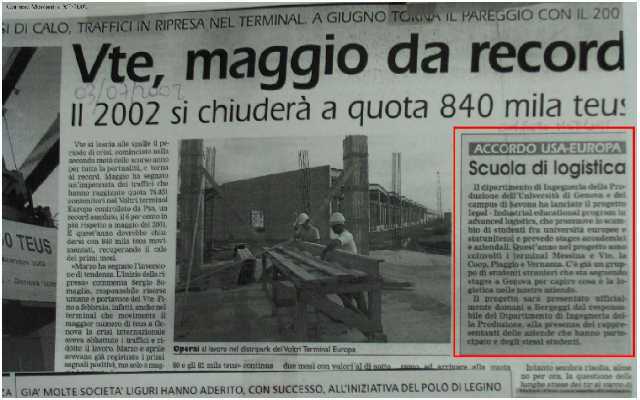 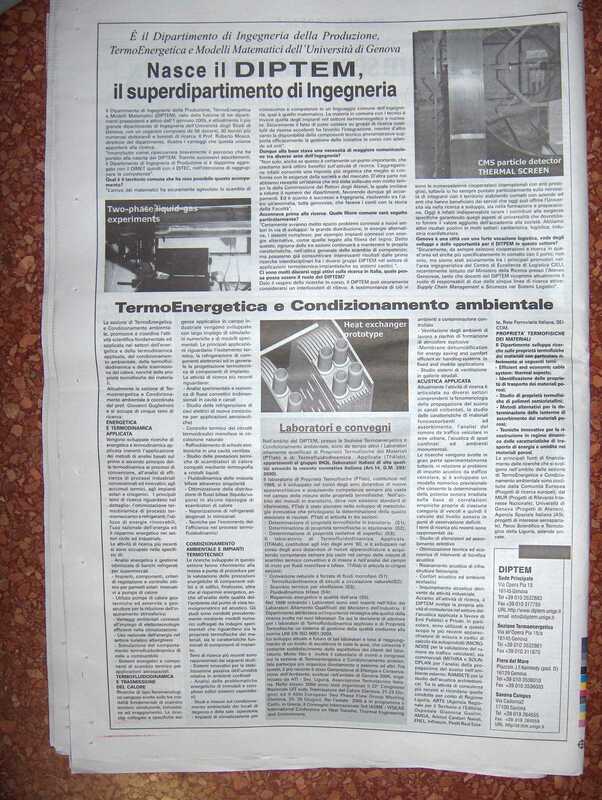 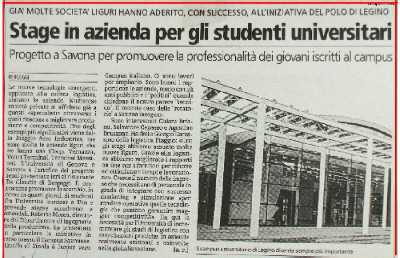 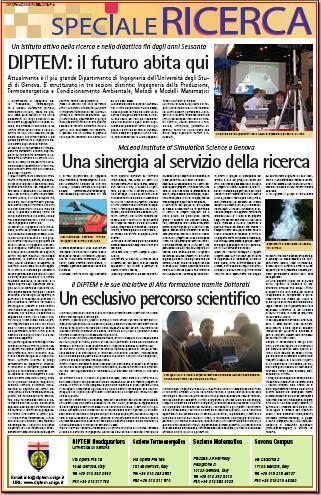 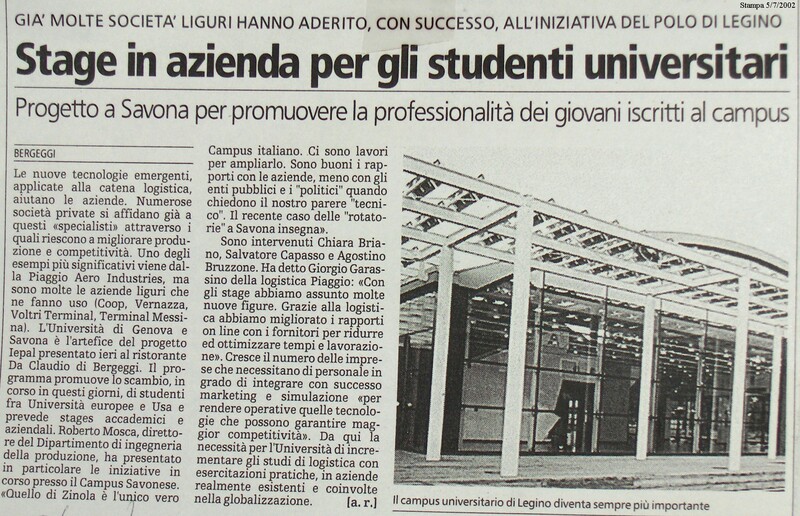 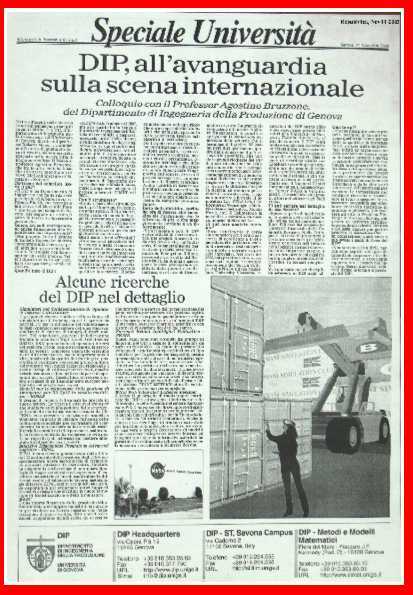 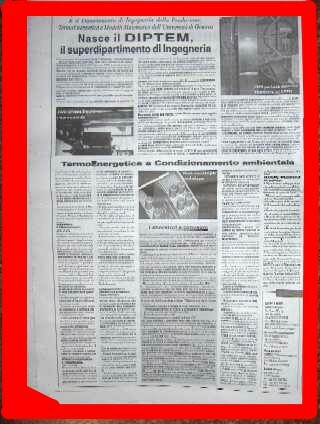 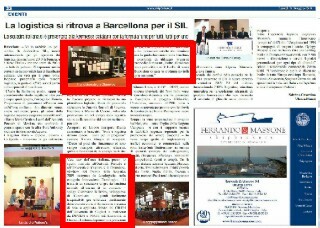 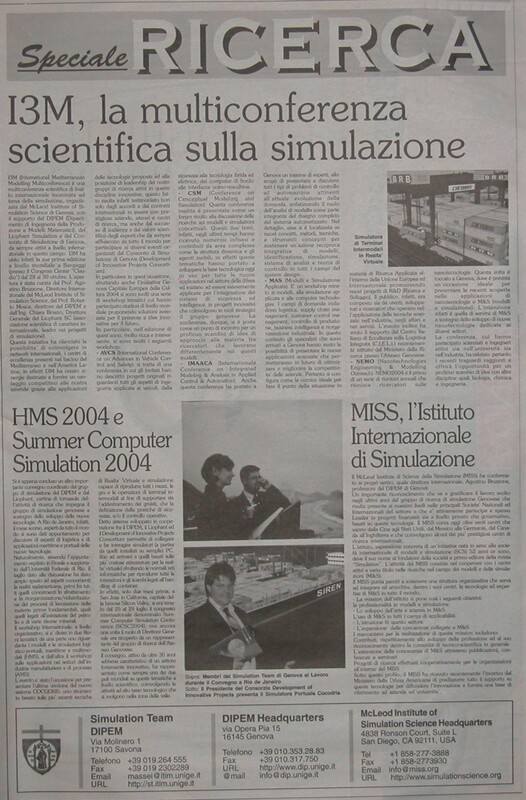 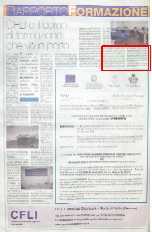 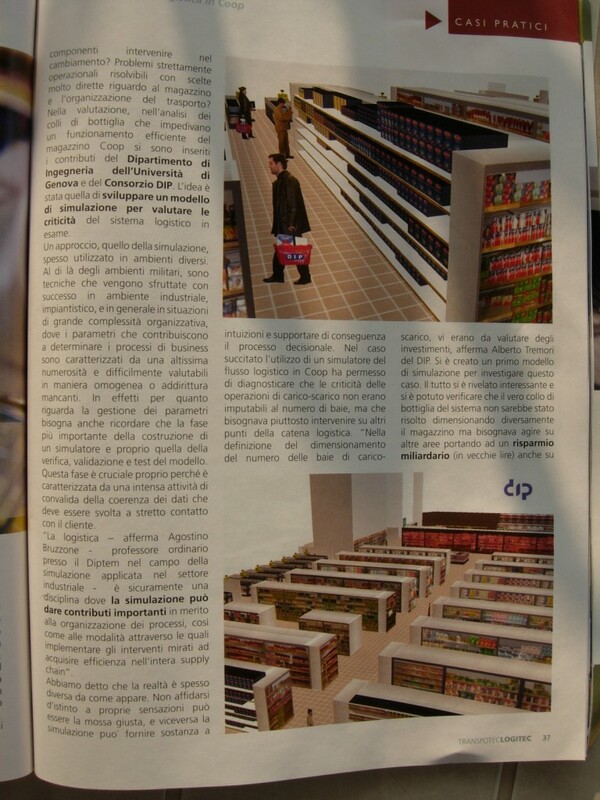 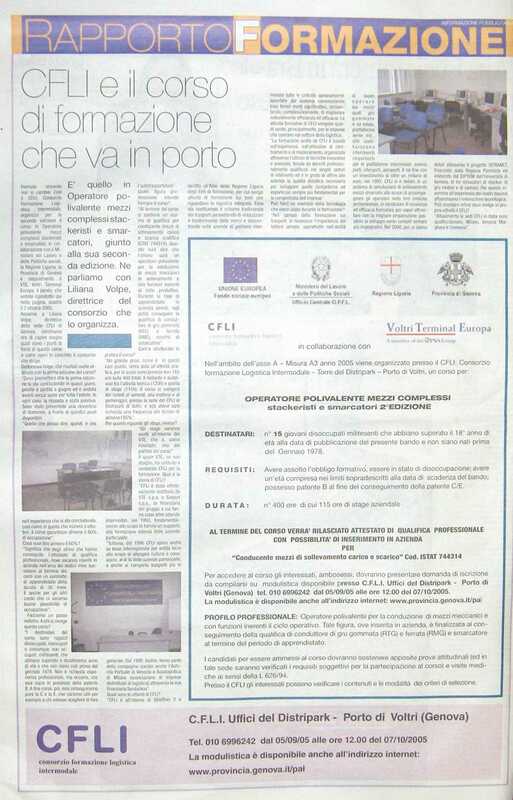 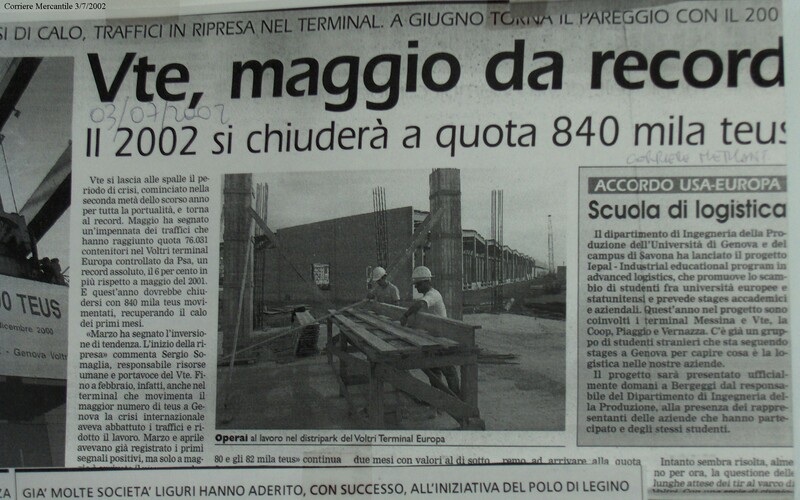 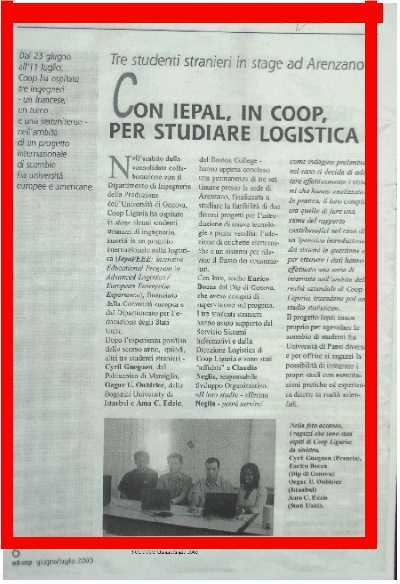 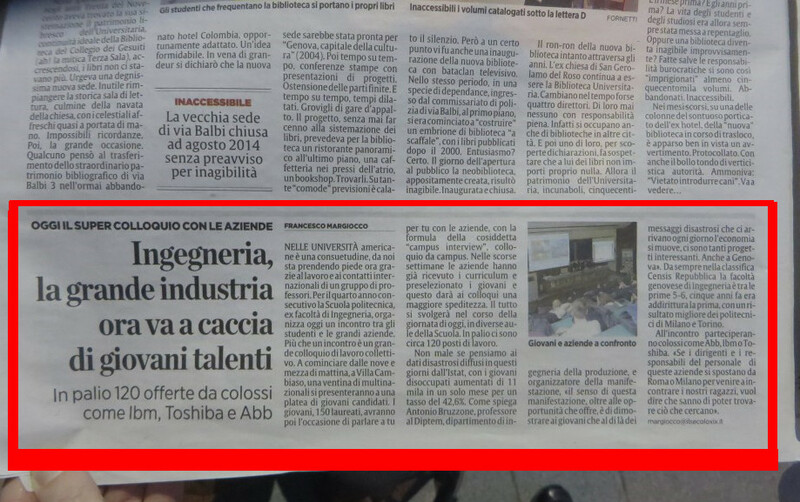 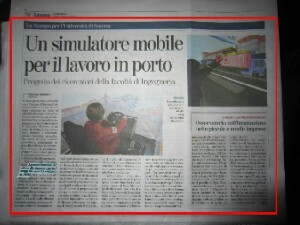 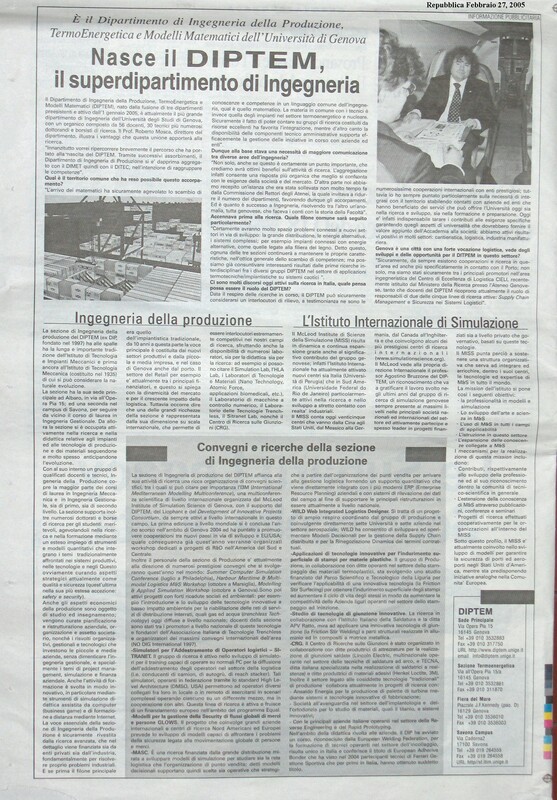 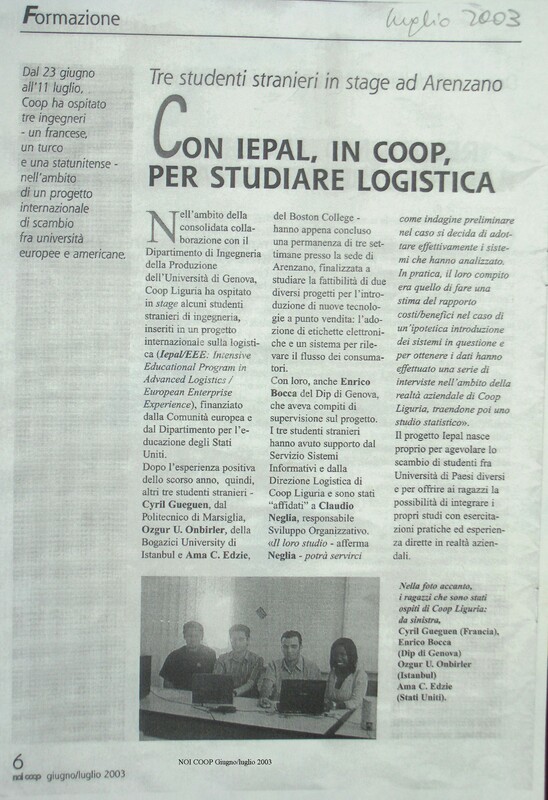 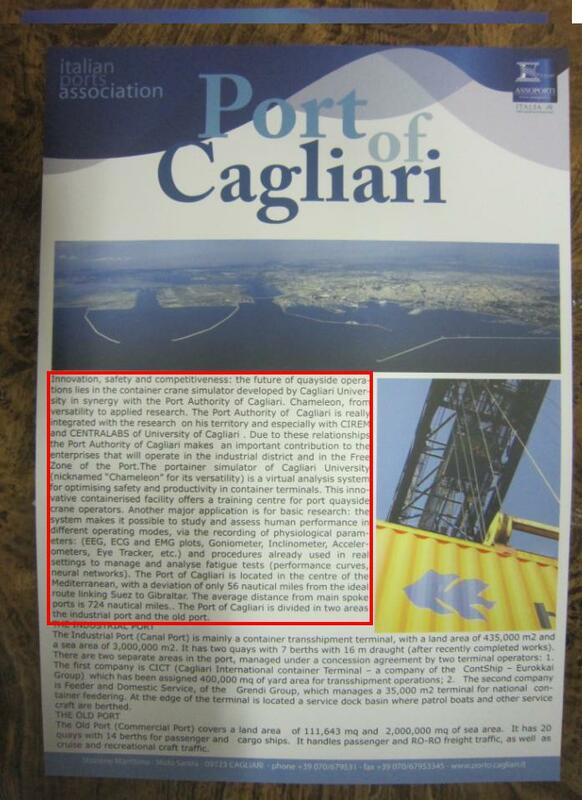 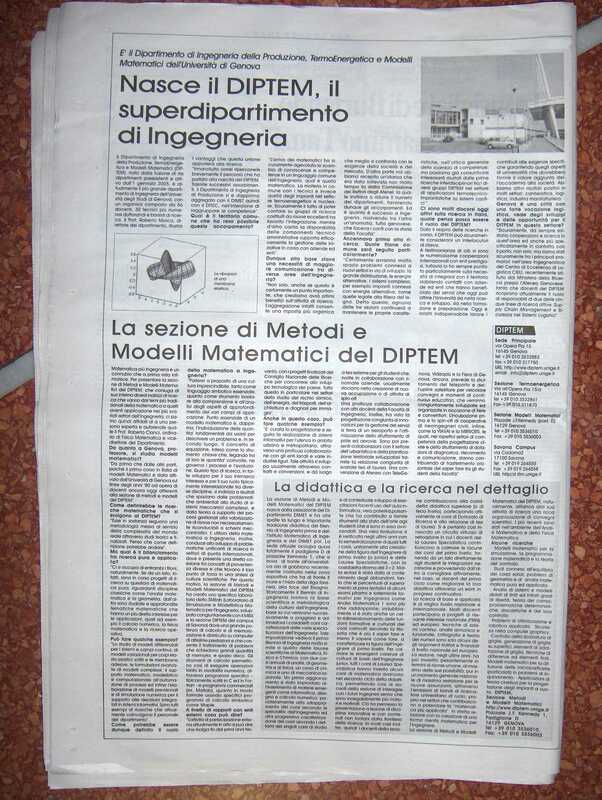 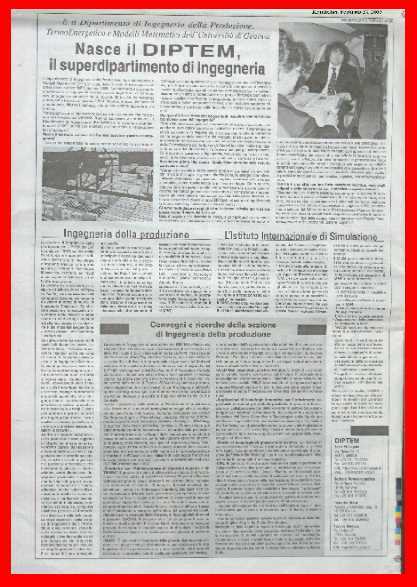 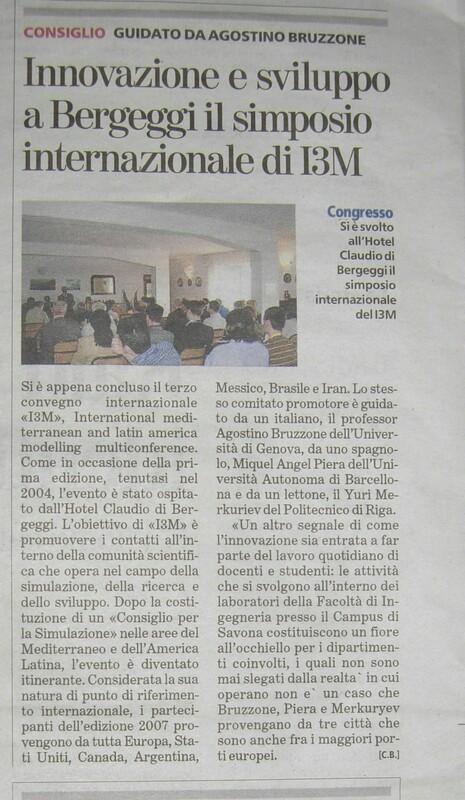 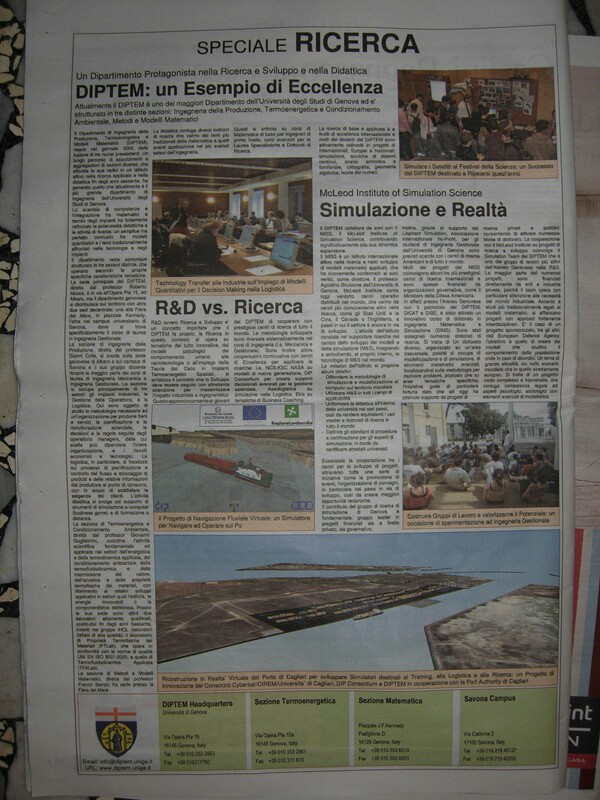 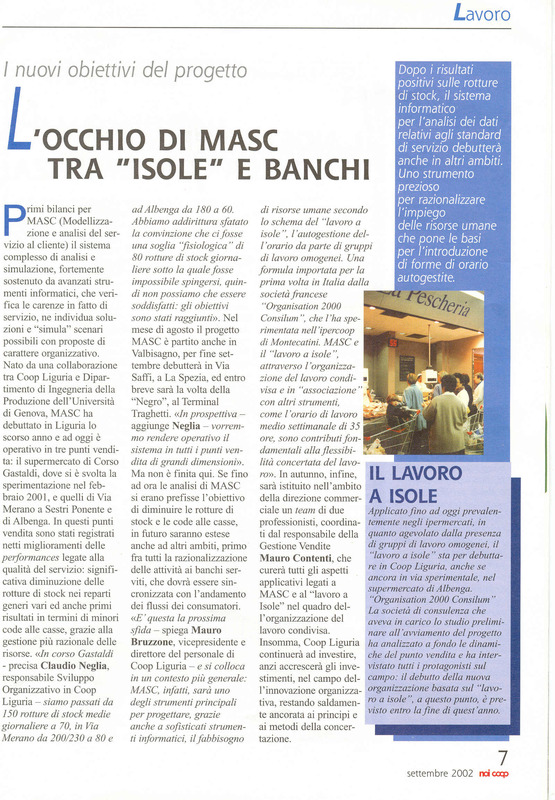 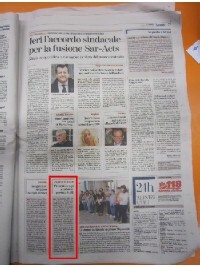 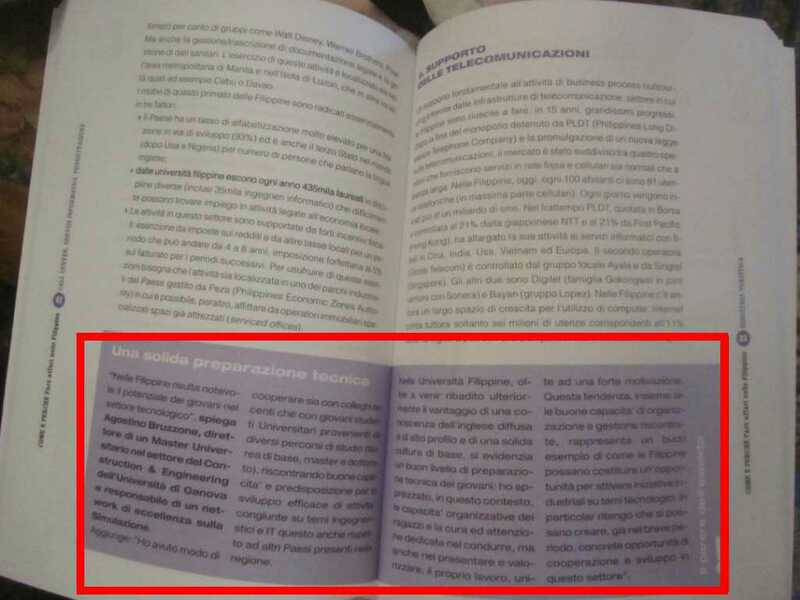 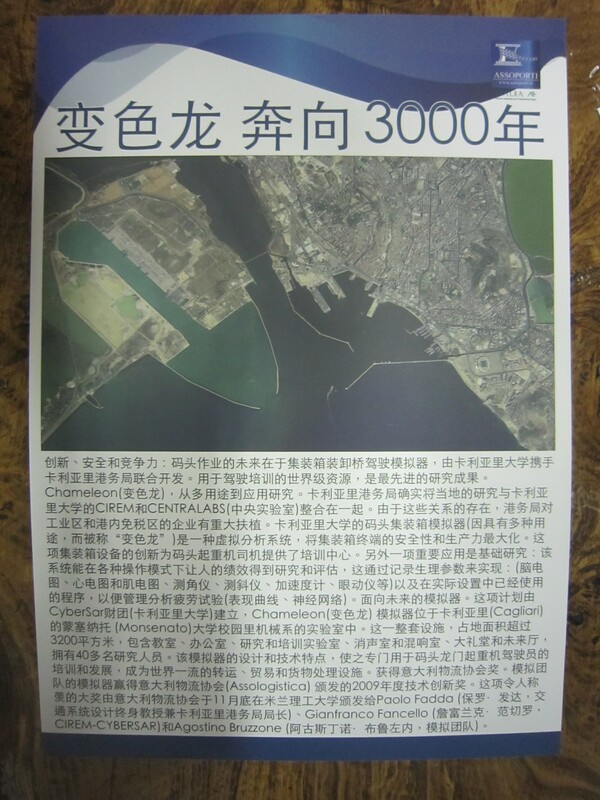 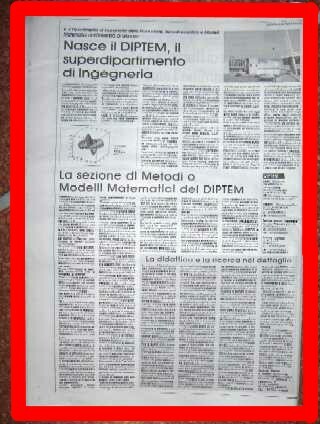 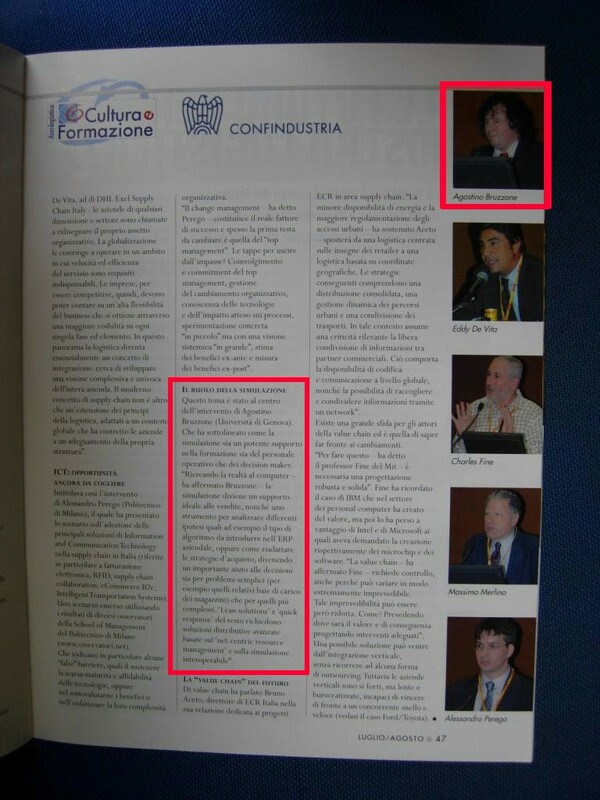 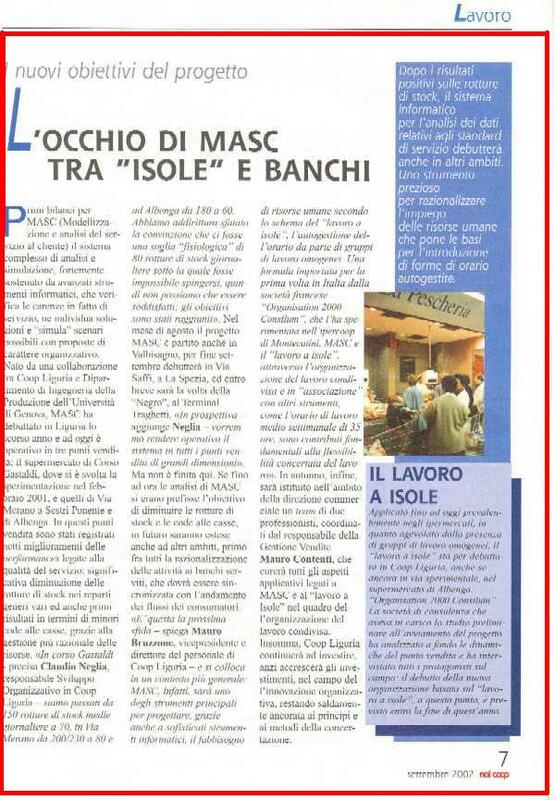 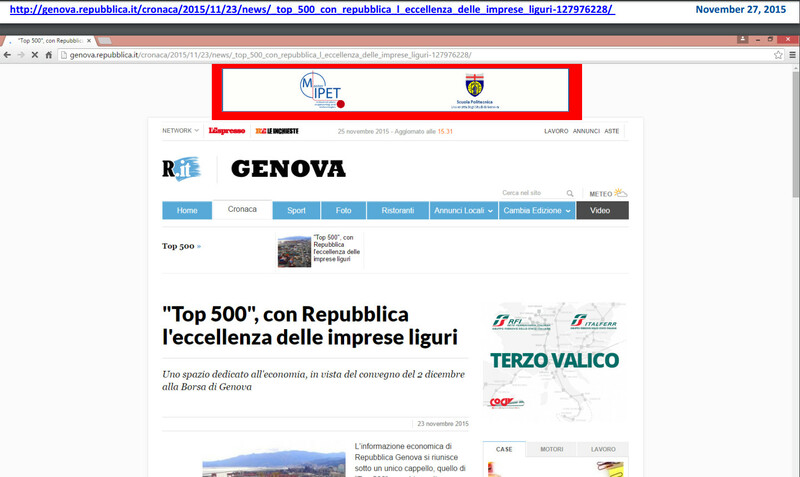 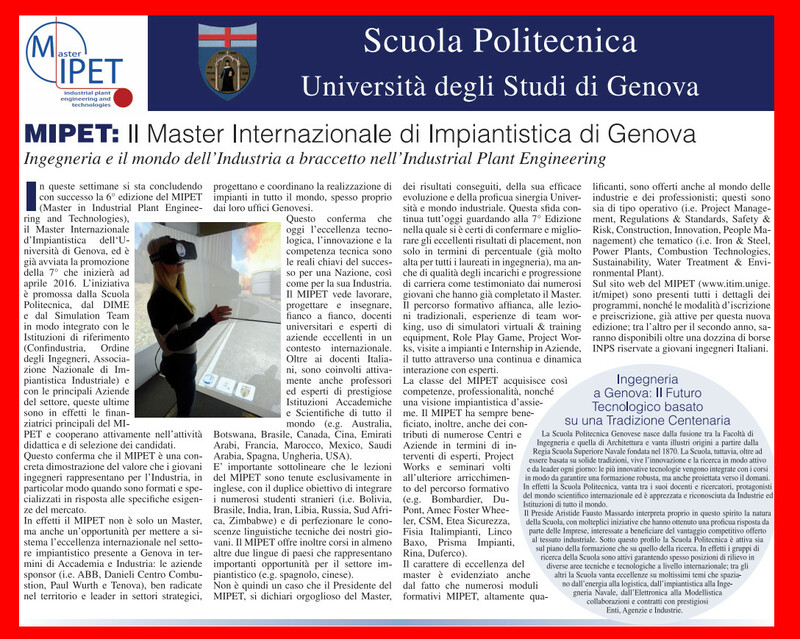 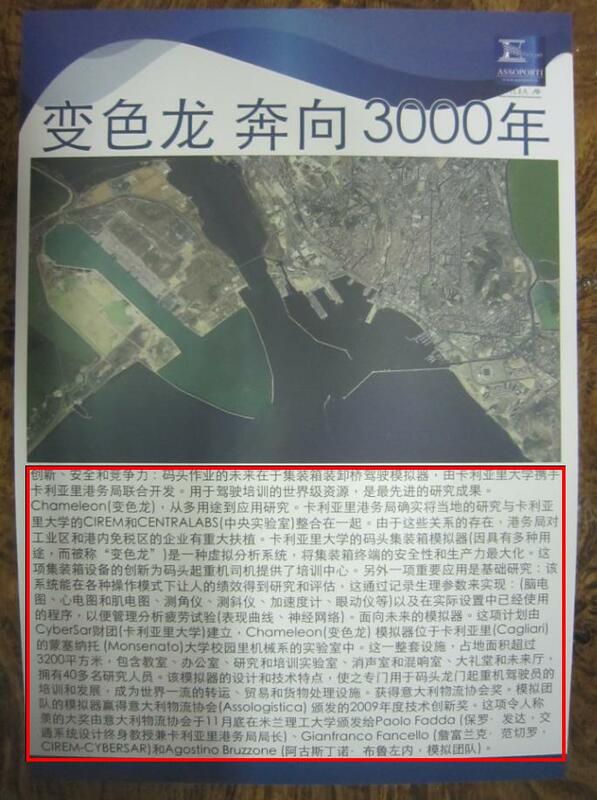 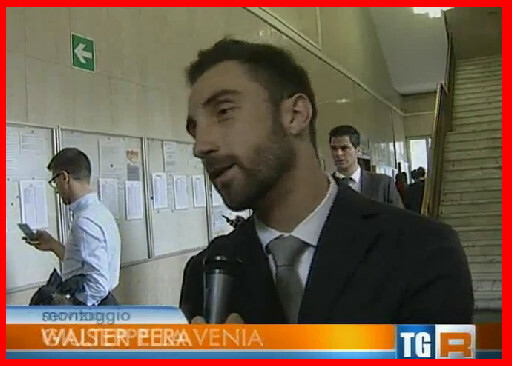 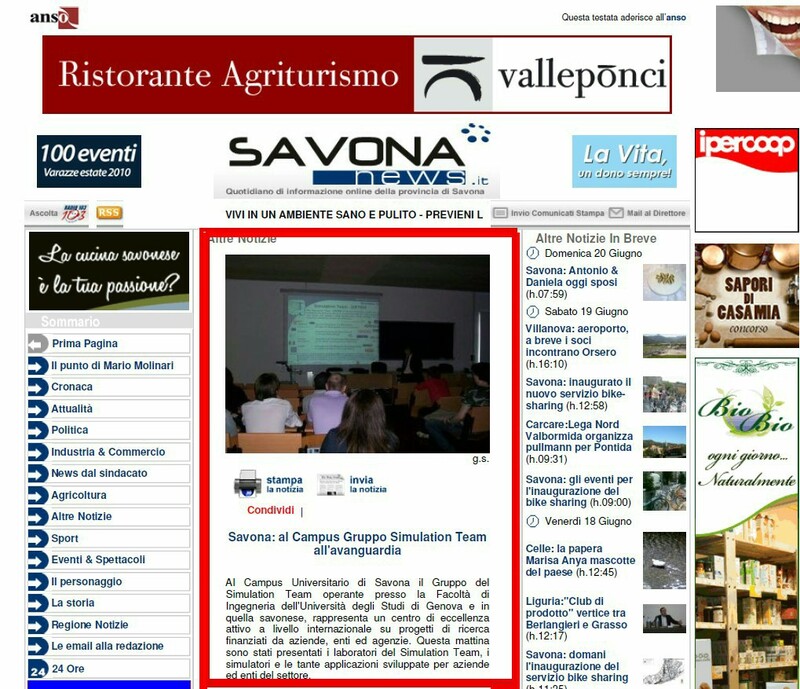 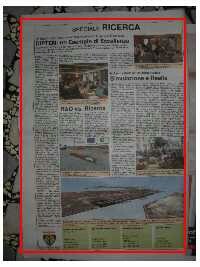 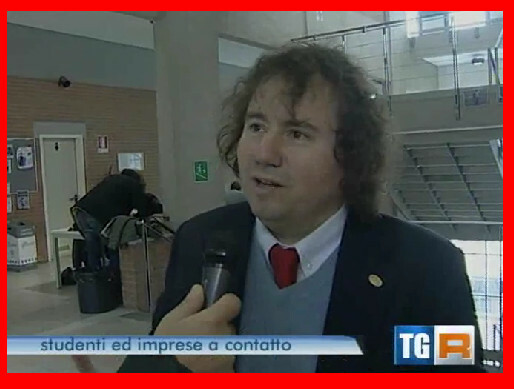 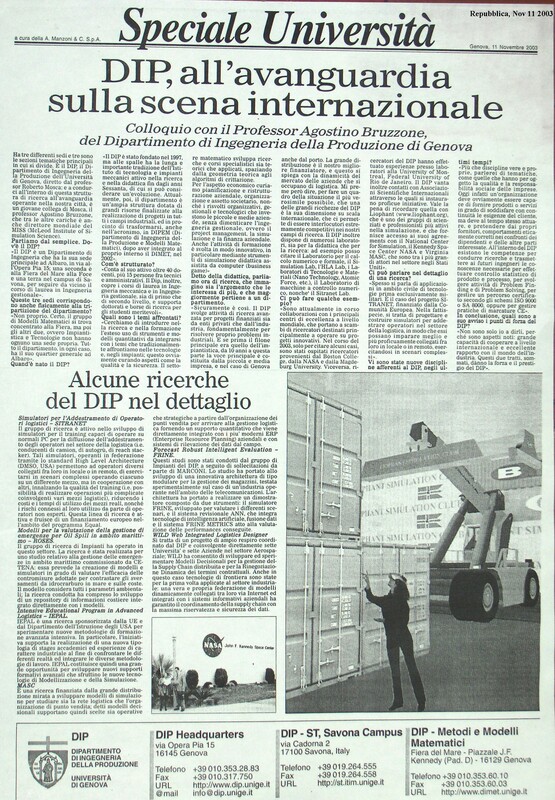 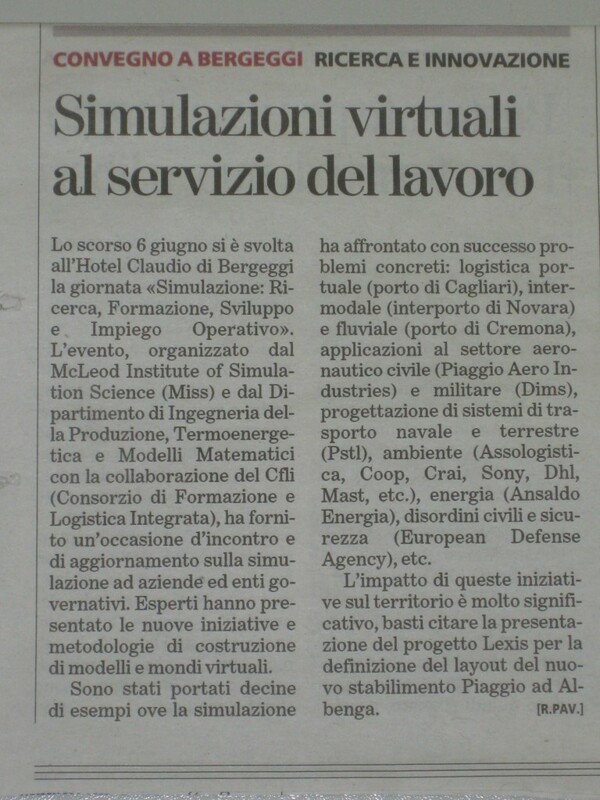 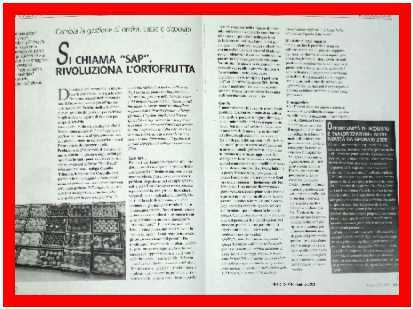 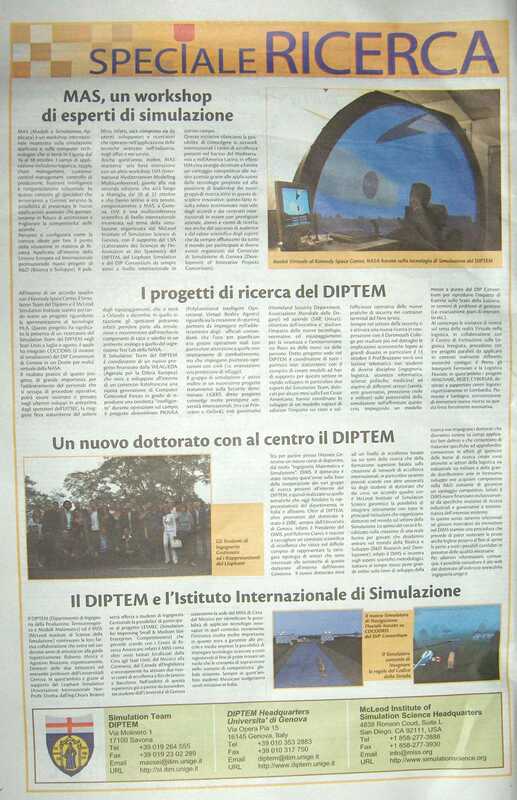 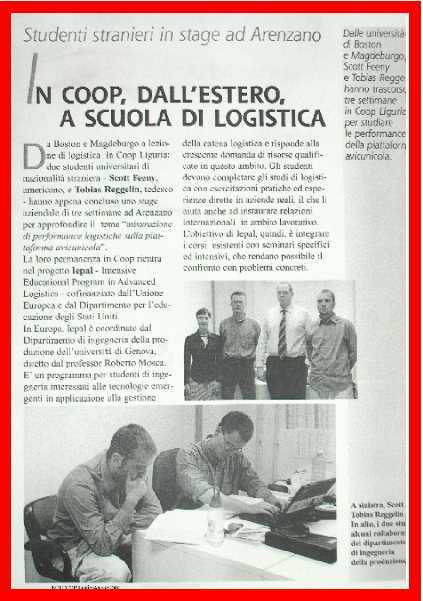 Genoa April 3, 2013, Il Secolo XIX Piu', pag.11, Il MIPET un Master in Lingua Inglese in "Impiantistica Industriale"
Genova, December 3, 2015, Repubblica, December 3, 2015, Special Insert "Top 500", MIPET: Il Master Internazionale di Impiantistica di Genova.